PTA News – Thinkathon sponsorship, Disco and Movie night dates, Yummy stickers – Last few weeks, second-hand uniform shop and next PTA Meeting. I was asked to MC the Kids Sing in the Auckland Town Hall last week and have to say that the highlight, for me, was the Mairangi Bay School Choir. Our kids sang beautifully. I know that parents are appreciative of all the efforts of our staff who provide opportunities across the curriculum and particularly in the performing arts. Thank you to our wonderful PTA for ongoing support and most recently for funding upgrades to both adventure playgrounds (this work is in progress now) and for agreeing to fund the replacement of the failing surface under the junior playground. The original tiles are not repairable. We will have a new cushioned Tiger Turf surface installed within a few months. The Board has funded the work outside Room 9 where Paul Loader has built the Mud Kitchen. This outdoor classroom project is ongoing. Our school-wide inquiry this term focusses on financial capabilities and I do encourage you to have conversations with your kids about money perhaps at meal times or in the car. At mid-year we have a three-way approach to reporting to parents viz..Mid Year Reports, Parent Teacher Interviews and Student Led Conferences. We made some changes to our reports to be more holistic and also gave you the opportunity to tell us what you wanted to talk about when you booked interviews with teachers. The changes made a difference that you appreciated. The survey results were shared in the last newsletter. 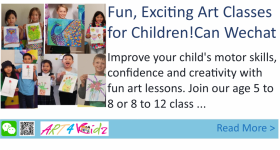 Student Led Conferences – these are for your child to talk to you about their learning. They are for 20 minutes each and will take place on Wednesday 29 August 3:30 – 7 pm. Please note that the end of Agathis Ave cul de sac is a “no stopping” area. This area has broken yellow lines. A broken yellow line means no stopping or parking. Broken yellow lines are placed in areas where parking would cause an obstruction or danger to other road users. Please do not stop to let children out of cars at the end of this street. Choose safety over convenience. This term the school Library is taking part in a well-established Reading Challenge programme, which is designed to get kids reading and enjoying the pleasures of stories – with the bonus of free pizza rewards. In conjunction with the NZ Book Awards and sponsored by Hell Pizza, the Hell Reading Challenge has proven to hook many reluctant readers into books with the aim to get even more young readers to discover the thrill of a great book. The HELL Reading Challenge is an opt-in challenge, it is free, and it is so easy! Children receive a stamp on their pizza wheel for each book they read and once seven books have been read the wheel gets clicked off and signed by their teacher or the school Librarian Mrs Hopkins. Once officially stamped they can redeem their pizza wheel for a free 333 kids’ pizza at a HELL pizza store. – The wheel must be signed by a teacher/librarian and stamped with the official school stamp. – Children must redeem their free pizza in person and before Monday 3 December 2018. If you have any queries about the Hell Pizza Reading Challenge, please contact your classroom teacher or school librarian Mrs Hopkins. At this time of year our school grounds are often wet and slippery and, when necessary, we close the playing fields because of this. However, we still have children slipping on wet or muddy patches who then require a change of clothes before they can go back into classrooms. We have a small supply of spare uniforms in the office but this is currently depleted. If you have any borrowed items of uniform can you please return them to the office as soon as possible. A spare pair of shorts/skort in your child’s school bag in the winter months would be helpful. rs” Class of the Hibiscus Coast Music Festival. She played “La Candeur” by Burgmüller. The competition takes place annually, and included about 60 competitors from teachers in the Hibiscus Coast Music Teachers Group. Congratulations Kids Sing Choir who performed twice in the Town Hall last week. They came away with a Bronze Award. APPA Choir rehearsal on Friday morning. We are traveling by bus to Pt Chevalier School. The Marimba Group will be performing at Assembly on Friday 1.40pm. Marimba Festival Saturday 1 September. 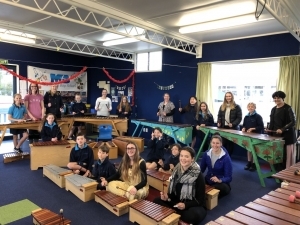 Thank you Year 6 Marimba children who taught some AUT students our marimba pieces. Congratulations to all the Yr 5/6 students who were tested for their skills using a kitchen knife recently. They needed to demonstrate how to hold and carry a knife safely, using the claw and bridge technique when cutting and how to wash and care for the knife. There will be a special Garden to Table assembly on Friday 7 September 2018, all those students who passed the test will be presented with their Knife Licence certificates. A big thank you to Mrs Jess Wright who conducted the testing. Any more students who wish to be tested please bring back your signed permission forms to the office this week. If you would like your child to play Touch in Term 4 please read the information below. Venues: Venues cannot be confirmed until the Council allocate all bookings. Local Touch has applied for Ashley Reserve for Mondays, Mairangi Bay Park for Tuesdays and Becroft Park for Thursdays. Venues will be known by early September. We know this isn’t ideal, but we ask schools to be patient and flexible when entering teams. Please get registration forms in by 22nd of August if you wish your child to play Touch in Term 4, registrations after this date will go on a waitlist. Where possible, I attempt to place your child in a team with friends, however, this is not always possible. The Sports Co-ordinator placement of children in teams is final. 1/2 Children needed for Year 3/4 Basketball team playing at the Breakers venue every Friday. Email sports@mairangibay.school.nz if interested. Your child should have now brought home the questions for our 2018 Thinkathon, together with a sponsorship form. Please collect the sponsorship before testing on the 27th August. This is always a great fundraiser for our school, and we really appreciate your support of the children. Thank you to all the Seniors who took time to complete the Disco vs Movie questionnaire. There was a resounding move to change the old format and introduce something new. A Movie night will be held on Friday 14th September, the movie will be voted on by those wishing to attend and there will be some movie night etiquette expected. We will require a consent form to be signed prior to the event and of course some parent help on the night to make it a success. Disco – Juniors and Middles: We hope you have the 21st September in your diaries for the Superhero Disco where you can dress up in as little or as much as you would like. Wear a mask, paint your face or throw on a cape, come dressed head to toe or make up your own superhero, look out for the posters that will soon be hung on the noticeboards. We will send out a link to SignUpGenius for those parents who are able and willing to donate some time to help make these events run smoothly. Please join our Mairangi Bay School PTA facebook page to get the latest news and updates on events. 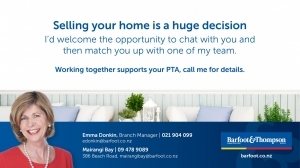 Simply log in to facebook and join the “Mairangi Bay School PTA” group. Yummy Stickers: Only a few weeks left to collect Yummy Fruit Stickers. Please keep them coming in by dropping completed sheets in the PTA box in the office. New sheets can be printed off here for normal varieties: https://www.yummyfruit.co.nz/wp-content/uploads/2018/08/Sticker_Collection_Sheet.pdf, or for Ambrosia, Tango and Lemonade varieties, here: https://www.yummyfruit.co.nz/wp-content/uploads/2018/08/New_Variety_Sticker_Collection_Sheet.pdf. Many thanks for your help raising money for brand new sports equipment for our classrooms every year. Second-Hand Uniform Shop: Open every Tuesday at 3pm from the Hall Foyer, or call into the school office at any time during the school day. 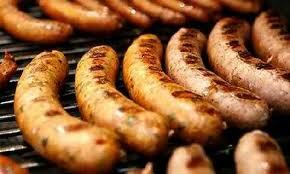 Next Meeting: Tuesday 18th September at 7.30pm in the School Staffroom. All welcome to meet a great crew, enjoy wine and nibbles, and learn about our awesome fund-raising initiatives and community projects. Brain Play runs coding, robotics, and 3D printing classes every Wednesday, Thursday, and Friday afternoon at Mairangi Bay School. 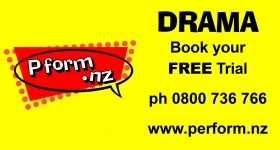 Anyone interested is welcome to attend a free trial before deciding to book, and can do so by registering for your preferred day and time through our website: www.brainplay.co.nz/contact. 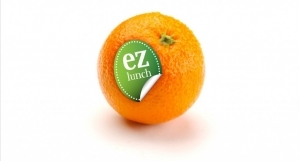 With Fathers’ Day just around the corner, we’ve decided to do an ezlunch promotion to celebrate dads. 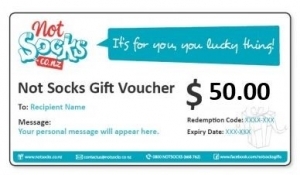 Gift Vouchers to gift to Dad on Fathers’ Day. The winners will be notified by email and/or phone on Friday 31st August. Good luck! FREE CAB North Shore New Migrant Information Sessions – We are holding 2 more information sessions for New Migrants on Thursday August 30th and on Wednesday September 5th. The first one is on Tenancy rights and renting in NZ and the 2nd one is on Consumer rights and buying a car in NZ. Both will be held in the Takapuna Hub, Mary Thomas Centre, 3 Gibbons Road, Takapuna, 0622 at 10:30am to 12:30pm, with morning tea included. Parking is free for an hour under Takapuna Library, there is metered parking around the waterfront and free parking on Gibbons road for up to 120 minutes. You can also park in the Takapuna shopping mall where the Farmers store is, for up to 3 hours free and it’s a short walk from there.